Gretchen & Elly are a powerhouse real estate duo, well-known for shattering prices in Dallas’ most prestigious neighborhoods, while offering unmatched personal attention to every client, regardless of price point. 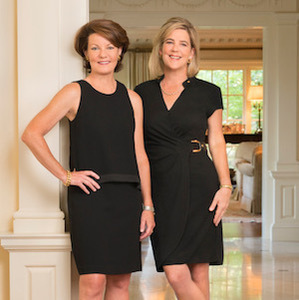 Consistently recognized among the city’s top producers, and named D Best agents by D Magazine year after year, Gretchen & Elly deliver a full-service approach that is unrivaled in Dallas. This often translates to meaningful client relationships with unprecedented results. Collectively, Gretchen & Elly bring over 40 years of proven expertise, coupled by more than a decade of successful partnership. With sales production topping $60 million in 2018, there is no stopping their work ethic, drive, and the superior service that comes from one of Dallas’ most sought-after real estate groups. And as multi-generational Dallas natives, their roots run deep in the community. Both Gretchen & Elly combine intimate local knowledge with the savvy of accomplished professionals, to help clients buy and sell with ease. Cutting-edge marketing strategy, strong networking and negotiation skills, and an impressive track record of repeat and referral business are the hallmarks of their success. They have the inside track to what’s happening in the market. With an innate sense of value, constant attention to detail, creative solutions, and round-the-clock customer care, Gretchen & Elly will take care of you.